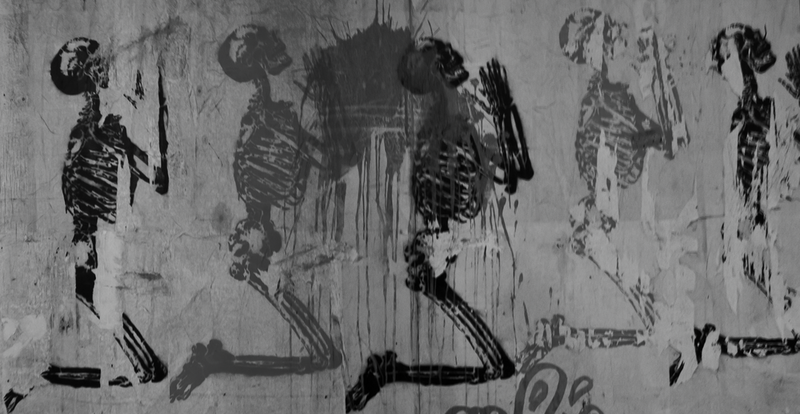 Graffiti depicting William Cheselden's Praying Skeleton, originally printed in Osteographia (1733). Why do people believe in gods? Why do we perform rituals, both by ourselves and in groups? How did religion evolve in human minds and cultures? My research aims to answer questions such as these, via cross-cultural surveys, and experiments run both in the laboratory and in the field. This website presents some of my academic and popular work, as well as regular updates about what my research team is currently thinking about doing. Also find the self-report and implicit measures I have developed on the Resources page. Click on the eye to visit the Publications page. My collaborators and I are always busy investigating various aspects of human psychology. The Research Projects page summarizes what we are currently. Click the hand to go to the Research Projects page. I would love to hear from you, if you have any questions or comments about our work. Please get in touch if you or your religious community would like to start a research project together! Click the pencil to go to the Comments page.